Beijing-based electronics company, Xiaomi, might introduce the Xiaomi Mi A2 in Spain on July 25th, according to MySmartPrice. The device will be available in gold, blue, and black color variants. Beijing-based electronics company, Xiaomi, might introduce the Xiaomi Mi A2 in Spain on July 25th, according to MySmartPrice. The device will be available in gold, blue, and black color variants. Further, it will be available in four memory configurations, viz. 4 GB of RAM and 32 GB of internal storage, 4 GB RAM and 64 GB of internal storage, 4 GB RAM and 128 GB of internal storage, and 6 GB RAM and 128 GB of internal storage. The launch date in India is still uncertain but the first generation Mi A1 will be ending its update cycle in September this year. Recently, a live image of the Mi A2 appeared on Slash Leaks, and showed the phone's display turned on, revealing details about key specs of the device. The phone appears to run on stock Android 8.1 Oreo with the May security patch installed. It will be powered by a Snapdragon 660 processor. As far as the technical specs of the phone are concerned, the Mi A2 will sport the same 5.99-inch full-HD + (1080x2160 pixels) display as the Mi 6X, and run on Android One software. It will be powered by a Qualcomm Snapdragon 660 SoC, paired with 4GB of RAM, and come in three storage variants, viz. 32, 64, and 128 GB's. The phone houses a vertically stacked dual rear camera setup, with a 12-megapixel primary sensor. On the front, it has a 20-megapixel sensor for selfies and video calling. The device will be backed up by a 3010 mAh battery accompanied by Quick Charge 3.0. 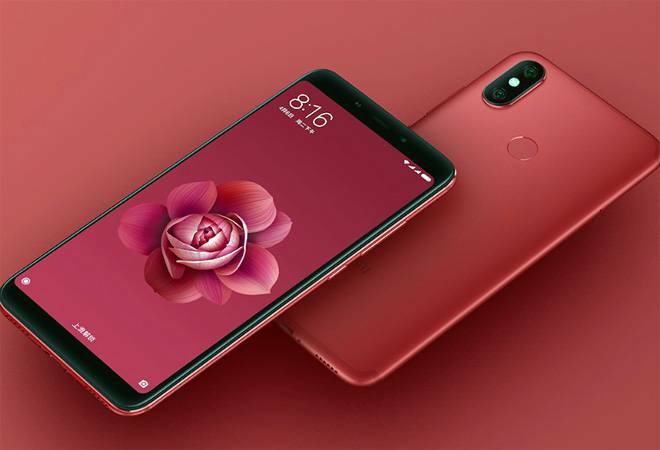 It will be compatible with 4G LTE, Wi-Fi 802.11ac, Bluetooth v5.0, and USB Type-C.
On September 5th last year, Xiaomi launched the Mi A1, the predecessor of the upcoming Mi A2, at an event in New Delhi. The phone was available in black, gold, and rose gold color variants. The Mi A1 was the first Xiaomi phone to launch without MIUI.